The time came again!! Yes 6 weeks, a phone call all us missionaries wait to get! The 6th week of the transfer is always crazy, it seems to be all we talk about and try to guess where everyone is going. Then Friday comes, the whole day we have butterflies in our stomach and just wait for Friday to end so that we can know whether we are staying or going. Then Saturday comes.. We await the phone call, cant seem to do anything. We cant sleep, cant study, cant eat.. Oh intense right? Ya well that's how it is for all of us missionaries..
Santa Rosa was a GREAT area.. There were so many things that I learned, about the gospel and about myself. I'm grateful for the companion (friend) that I was able to serve with to help me with my struggles and helped me to become a better disciple of Christ. I have only been here in Fairfield a few days and I'm already starting to love it. Sometimes I think why things have to change.. Why do we have to get transferred from place to place and be with different companions? I love what Sister Marjorie Pay Hinckley says, "Everything you are learning now is preparing you for something else." I know this statement to be true.. Everything that I have learned in an area, I take it with me and apply it to what I need to. Kinda like our purpose of why we are here on earth. It says in the scriptures that everything we learn here we take it into heaven with us, and apply those things when we get there. I have to remind myself everyday that I will always learn something new, I will never know everything. I am grateful for the Spirit helping to recognize what things in me and my life that I need to change. I know that I wouldn't be able to be a better disciple of Christ if it weren't for the different areas and companions! I'm so happy the Lord gives us So many opportunities to change and become the person that He knows and wants us to become! A couple weeks ago Sister Lewis had this really bad ear ache. We talked about it, and tried to figure out what we could do to fix it, or make it feel better. We went to the store and looked at some things that we could poss get to help. The options that we had weren't bad, but they didn't really fix the problem. We finally came to the conclusion that we needed to call the mission nurse. We did, and after the conversation we had with her on the phone, she told us to do something totally different then what we were going to do or plan on doing.. There have been many times, in my life when I have had a problem.. Somethings that I try and figure out. I find that when I try and do it myself it is hard and I cant ever seem to solve it. When I put my trust and relying on my Heavenly Father, the problem doesn't go away, but with His help I seem to figure things out. He gives us things to help us with our everyday struggles and challenges. For example the scriptures... What an AMAZING thing!! I can read them, and find answers to questions and concerns that I have.. Another one is a Prophet and other church leaders.. Like the mission nurse, she was able to tell us right then and there what we needed to do. The leaders that we have, have been set apart with certain callings to help us.. Aka the Bishop, Mission President, Relief Society President, the Prophet. I am so grateful to the Lord for giving us these people to help us in the things that we need. I know as for myself I need to learn to put my trust in the lord and His trusted servants.. When I do I will be able to face any challenges that come my way. This morning we visited with one of our investigators. She told us about some news that she heard about a young girl passing on. She expressed to us how she felt about the situation and about death. As I listened to her talk, I tried to see and feel what she was feeling. There have been times when I have thought about death and it has made me nervous at times. I blogged about a few of my friends that have passed away and my feelings on that. I've noticed that this subject does frighten alot of people, but should it? Through the atonement of our Savior He didn't just suffer for our sins, he also died for us, 3 days later He was resurrected. 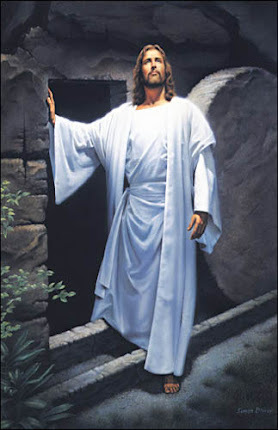 He was resurrected!! And because of that, we will be too! Because of Christ, we will be made alive.. So what does happen to those who pass on? In Alma 40:11 it says," Now, concerning the state of the soul between death and the resurrection-Behold, it has been made known unto me by an angel, that the spirits of all men, as soon as they are departed from this mortal body, yea, the spirits of all men, whether they be good or evil, are taken home to that God who gave them life." What a great blessing, our loved ones who have passed on, they are OK. They are at peace, and we will see them again. I'm grateful to have this knowledge, it has brought alot of peace to my heart. I know that life doesn't end after this one, we continue living. We will see our loved ones again. I promise you that they are OK, our Heavenly Father is taking good care of them. This morning I read Alma 29, which is an AMAZING chapter.. In Verses 9-10," I know that which the Lord hath commanded me, and I glory in it. I do not glory of myself, but I glory in that which the Lord hath commanded me; yea, and this is my glory, that perhaps I may be an instrument in the hand of God to bring some soul unto repentance; and this is my joy. And behold, when I see many of my brethren truly penitent, and coming to the Lord their God, then is my soul filled with joy; then do I remember what the Lord has done for me, yea, even that he hath heard my prayer; yea, then do remember hi merciful arm which he extended towards me." When I read this this morning I thought to myself, wow, Alma is glorying in the commandments of God. Why don't I do that? The Lord has blessed me and has helped me in so many things I think the least I can do is do what the Lord asks of me.. Yes, I'm not perfect, I don't think that I can be completely perfect at following the commandments. But I want to express my gratitude more to the Lord and His commandments.. I know that when I do, I will come to understand why they are important. I watched this video this morning, and as time started going by.. Ive been really thinking about it. I just want to say my testimony about our Savior Jesus Christ. He is central to the message that we have to share as missionaries and as members of the Church of Jesus Christ of Latter-day Saints. It is through Him that we can be cleansed of our sins. He is the way..
We (Sister Lewis and I) were role playing this morning and there was a verse in the Book of Mormon that really stood out to me this morning.. I've read this verse over and over again, but I just felt the spirit so strongly as I read this this morning. "And the voice of the Son came unto me, saying: He that is baptized in my name, to him will the Father give the Holy Ghost, like unto me; wherefore, follow me, and do the things which ye have seen me do." What a great example our Savior was and IS, He was baptized and we are to follow Him and do the same. I know that Jesus Christ is our Savior! I'm grateful for His love and example.. He is the center of the message that we have to share.. I have come to understand the Atonement, and that is why I am serving a mission.. Remember who you are and what you stand for.. 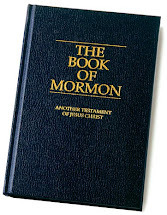 I've been reading in the Book of Mormon and as I was reading, there is something that really stood out to me. This part of the video can be found in Mosiah 28:5-8. I love how Mosiah asks the Lord if that is His will to have Ammon and his brethren go and teach the gospel to the Lamanites. The Lord answers Him with the most peaceful answer. The Sons of Mosiah then go to the land of the lamanites, and before they separate they say a prayer together. I love the sons of Mosiah and enjoy reading about their adventure, and that the Lord does "deliver [his] sons out of the hands of the Lamanites." They are great examples to me about being patient in their afflictions and trials. We all go through them, but this was a desire that they had, to teach the people of the Plan of Happiness that our Heavenly Father has for us. They wanted the Lamanites to receive the same happiness and joy that they have felt. When you study and study for a test, you take that test, and pass it. Don't you just go around sharing it with EVERYONE?! WHY?! Because your happy, you studied and studied and you got a awesome score.. EVERYONE should know this right?! This is how I feel about the gospel. I studied it and studied it, I wanted to know if the things that I studied are true. I found my answer, I went through tests (or trials) and found that the gospel of Jesus Christ truly does bring joy to my heart. He helps me get through my trials and struggles, and I want everyone else to feel of this same joy that I have. 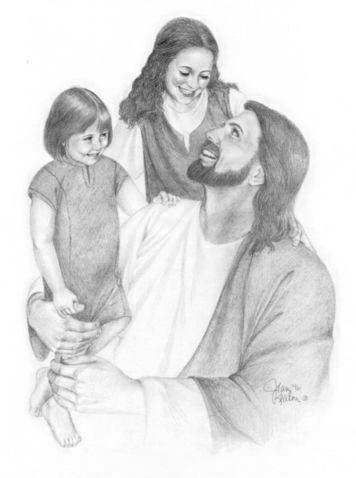 Ammon said, "..for this is my life and my light, my joy and my salvation, and my redemption from everlasting wo." This is how I feel about my mission. I love the scriptures, I'm so happy that we have them, that we can read and learn from them. I'm grateful for the living prophet we have on earth today that helps lead and guides us.. I'm so happy for all the missionaries around the world teaching our brethren about our Savior Jesus Christ and His atonement.